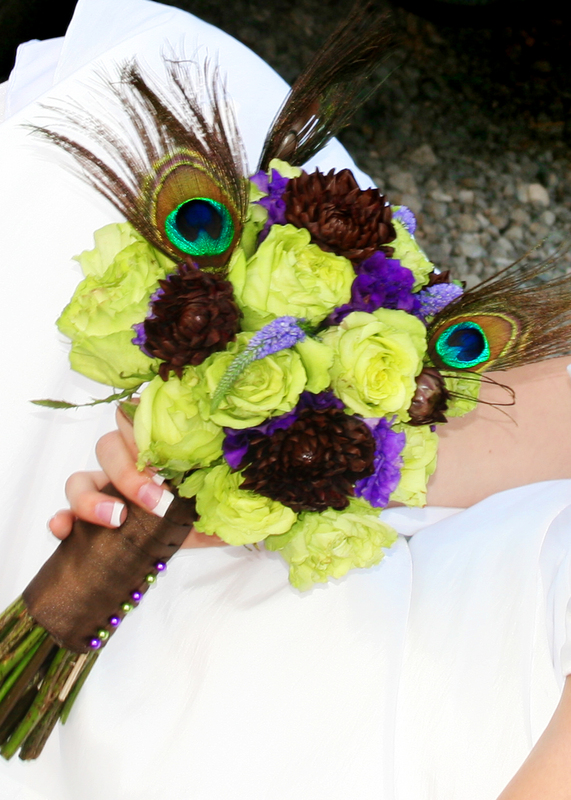 Melissa chose to use various shades of green and white for her bridal bouquet on Saturday. 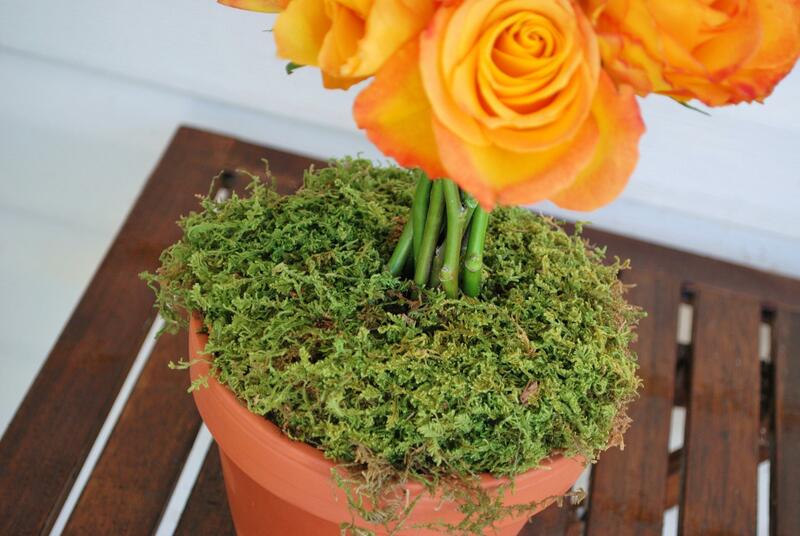 She loves texture and we decided to use flowers that were just that…..TEXTURED. We used a variety of green spider mums, pale green carnations (which i wouldn’t normally use but for this bouquet turned out awesome) green and white parrot tulips, super green roses, ranucs and white stephanotis w/ black jewels to add a little pop. I cant wait for Melissa and Brad’s wedding coming up in June! -On a side note…….I apologize for lack of posting . There are some great things in the works right now and if all goes well….things are going to be changing. For the better! Its been forever since i have posted! Here is a little something i put together for my cousin. She was going to a school dance and wanted something a little bit different that the traditional crosage. so I put together a wristlet made of white mini roses, purple wax flower and little bit of tree fern. I love Christmas!!!! It’s by far my favorite holiday! I think i love it so much because of all my families tradition. Ever since I can remember, my family has gathered together to test our skills in contructing gingerbread houses. Each family gets to decorate a homemade gingerbread house (courtesy of the best grandma in the world). It is so much fun to get together and eat bunches of candy & use our creative talents (or lack thereof). Here is a picture of the gingerbread masterpiece my husband and I made. Enjoy! Note the pine tree made of candy corns. Also the wood pile made of chocolate coverd tootsie rolls (my husbands idea). Today was the annual Christmas open house for Backman Title Services. I can’t believe how quick Christmas is coming. Seem like it was just Halloween a couple weeks ago. Any who…… This centerpiece was made of Noble Fir, Red roses and Variegated holly. I also added some pine cones & bullion wire for a little spice. Once again please excuse the photo and lighting. Another infamous iPhone shot. WARING>>>>>>>> The images you are about to see were taken in bad lighting on my iPhone. Please forgive me. This is Amy’s wedding day bouquet and her new hubby’s (Mitch) boutonniere. 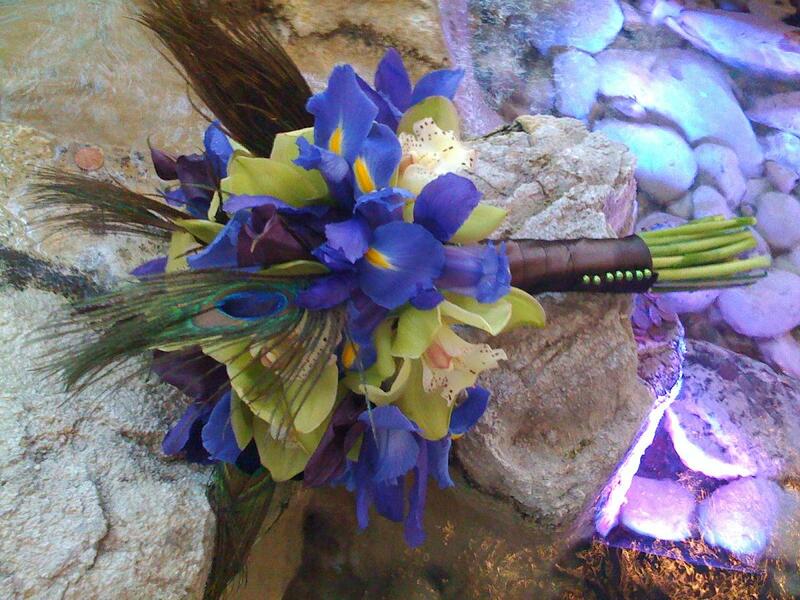 For the bouquet we used blue iris, green cymbidium orchids, eggplant callas and peacock feathers. I love the texture and the iris’s remind me so much of a peacock. 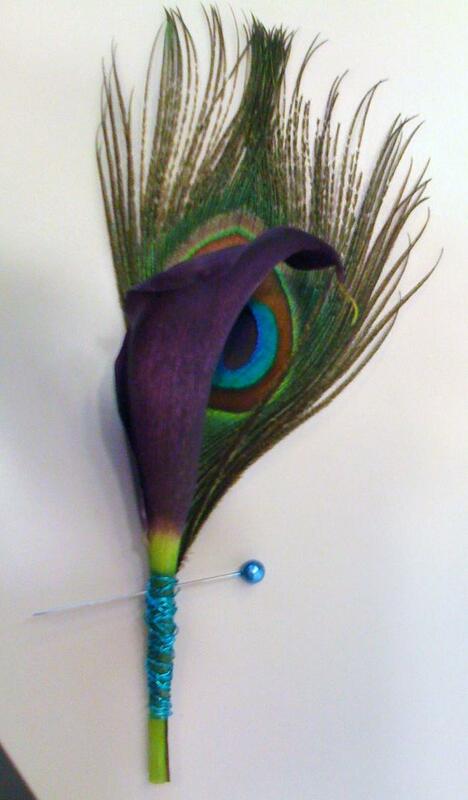 For Mitch’s boutonniere we kept it simple with a single mini calla and the colorful peacock feather. We then adorned it with some of my fav bullion wire which made the colors just pop! Thank you Amy and Mitch for being such great clients! P.S.- Hopefully we can get some better pics from the fabulous Tawsha from The Color Blue Photography. Saturday was Amy’s bridal sitting. 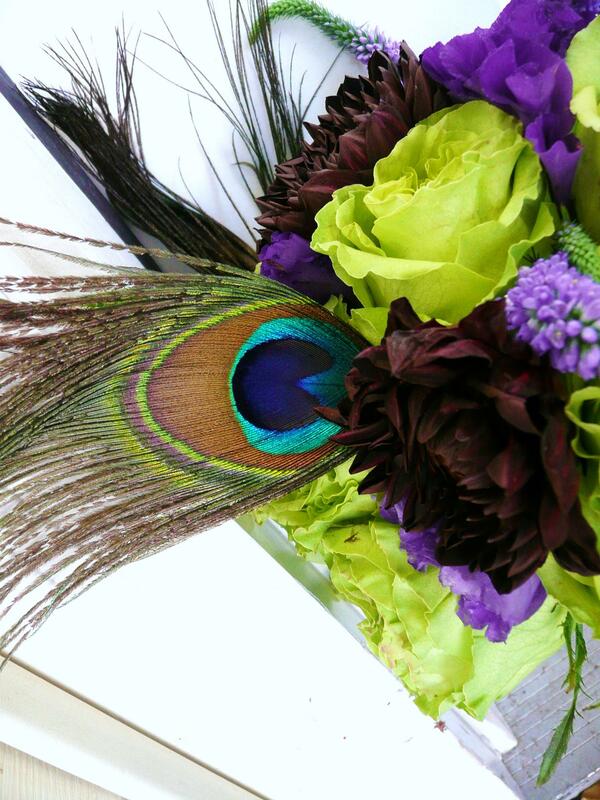 For her bouquet she wanted something colorful and it definitely had to have peacock feathers! 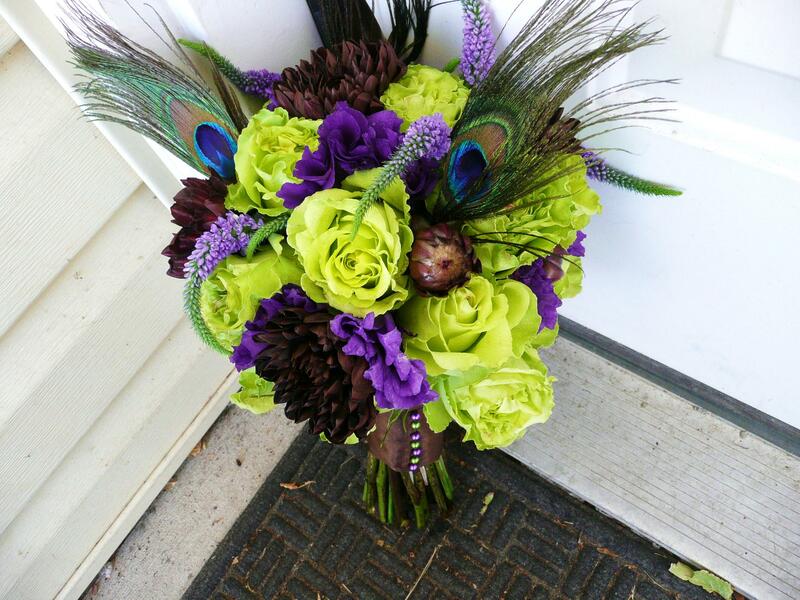 We used super green roses, purple lisianthus, purple veronica, brown dahlias & peacock feathers. Then we topped it off with some luscious brown satin and alternating pearl head pins. Love it! P.S.-The top 2 photos were taken by the very talented Tawsha @ The Color Blue Photography. 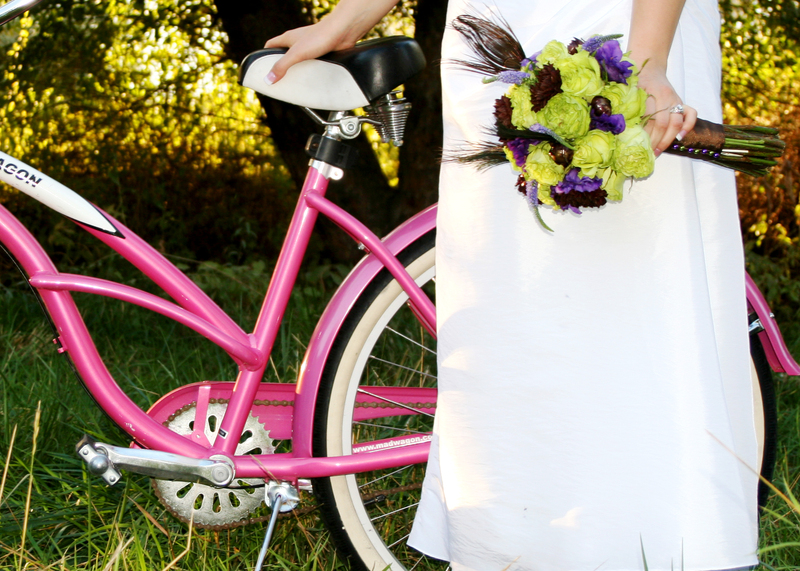 I love the pink bike! This just shows how important having a pro photographer is. Just thought i would share a fun little post for today. 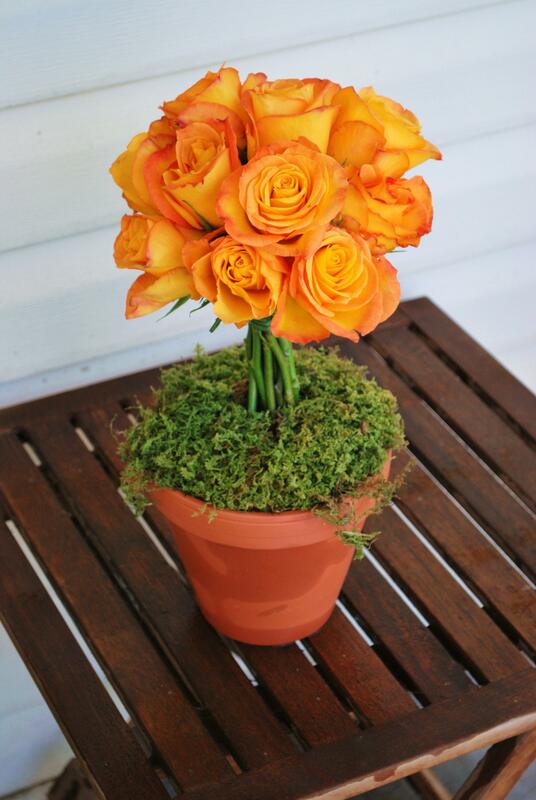 A bright topiary made of 3 items: a terracotta pot, Spanish moss and orange roses. 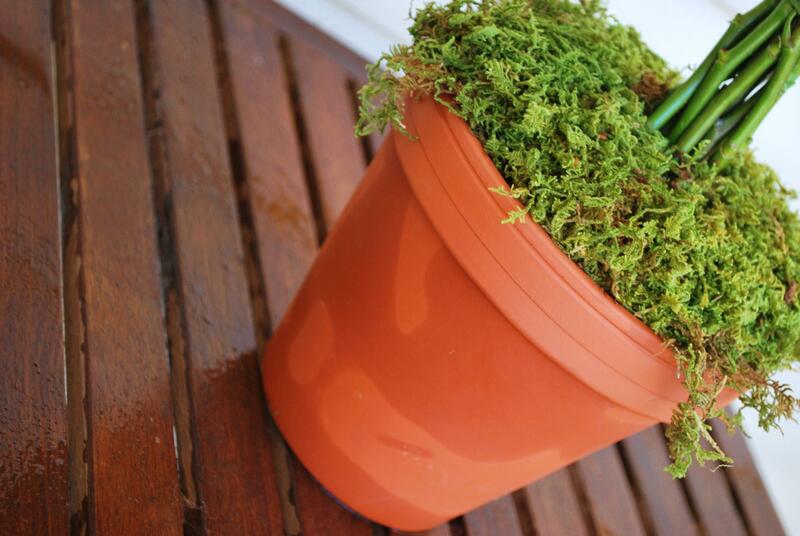 Great for centerpieces, larger in scale for a banquet table or just as a thoughtful gift. Enjoy!